WEDDING PHOTOGRAPHY - DON'T LIKE STANDING & POSING FOR HOURS? Enjoy your day with our fun, whimsical style and get photographs you will cherish! SENIOR PORTRAITS - AFRAID OF LOOKING LIKE EVERYONE ELSE (boring)? In our fashion friendly studio, you'll look like you were photographed for a magazine! FAMILY PORTRAITS - IS EVERYONE TOO BUSY? 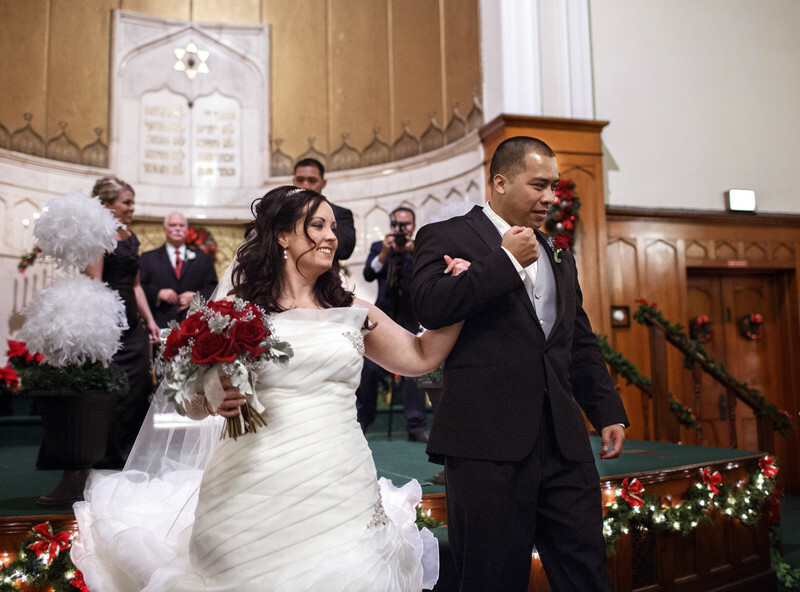 Here at Denis Photographers we are favorites for wedding photographers, senior pictures and family photographers. We also are well known for outstanding children’s portraits, baby and newborn photography, business portraits, headshots, prom and homecoming photography, sports and dance teams, school pictures and reunions. We are one of Central Illinois' most trusted photography studios, serving Bloomington Normal, Peoria, Champaign Urbana, Clinton, Pontiac, Lincoln, Allerton Park, Starved Rock, LaSalle Peru, Eureka, Morton, Ottawa, Decatur, Springfield and Joliet. Most of our clients are the girl or family next door. Notably though, we have photographed weddings for NFL Quarterbacks, MLB Pitchers, NASA Rocket Scientists, Senators and Official Portraits for University Presidents. You can have stunning photographs of your loved ones, just like the images you see here on our website. When it comes to families, the more the merrier! However, groups require a much higher skill level in order to arrange everyone so that they look good both individually and together. Denis is simply one of the best there is at doing this. Psychologists write about how important it is for children when parents decorate their home with large wall portraits to build up a child’s self-esteem. A family portrait implies inclusion and helps children feel like they really belong in the family unit. Ancestry researchers treasure family portraits because they are so important for your family history. Some family groups will be generational pictures, which may include three or four generations with parents, children and grandchildren, and possibly great grandchildren. Sure, it’s a lot of planning to get everyone together, but it is so worth it. We can come to your home to capture your family in their natural setting which will be meaningful to everyone. At many homes, we can take some outdoor portraits in your yard. Also we go to special locations such as a hotel with a grand lobby, especially when your family will be getting together there. We photograph families outdoors at parks as well. 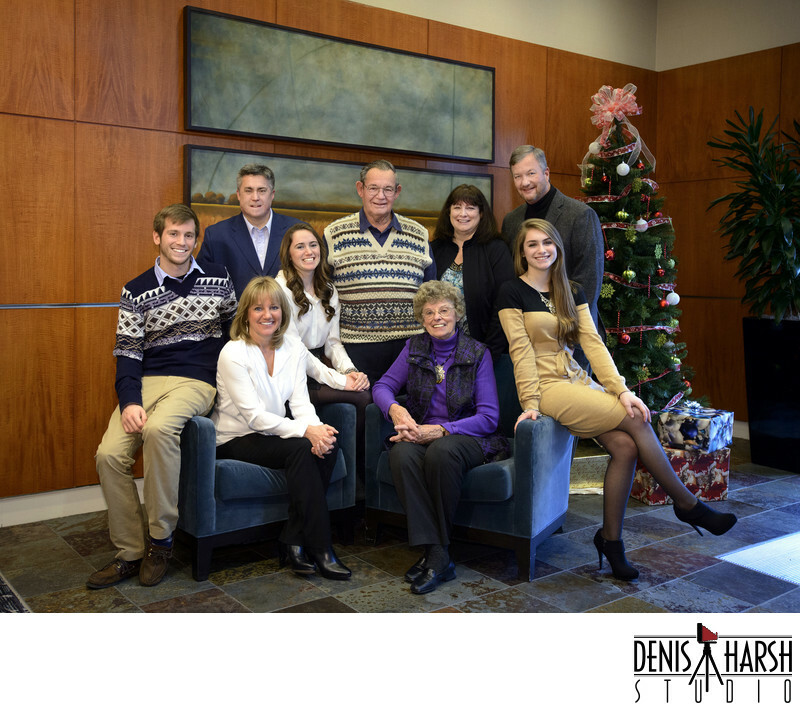 Depending upon how many people there are in your family, we may be able to have you come into our studio. Many times this is the most convenient option. Here is our gallery of family portraits for your perusal. Time waits for no one. Get them together and we will help you keep them together. Call us at (309) 827-4606. We are known as the ‘go-to’ place for those who want more creative senior pictures. Students really like coming into our studio where they have the convenience and privacy for changing into different outfits in our dressing rooms. They also appreciate our experienced advice for choosing which outfits will look best in front of the camera. Many will bring hot curlers or a curling iron to plug in for hair styling or a special lighted mirror to use for applying makeup. How do we make a student look so great? Lighting is one of our strong skills, and Denis is great at using light to accentuate each student’s best features, and using shadows to minimize areas that may be less desirable. Equally important is his ability to ‘un-pose’ people and put them into positions that feel natural and relaxed and not feel posed or stiff. Countless times mothers have come into our camera room with their daughter or son and told them to “sit up straight”. But Denis will respond with “no, no, no, go ahead and slouch; get comfortable”. Boy, do the moms ever have a puzzled look on their faces when they hear him say that! This blends in with what may be one of our best benefits. When it comes to high school seniors, one thing for certain is that students are neither professional models nor are they actors. Most people are very nervous when it comes to being in front of a camera when it’s pointing at them, and students are no exception. Sure, some people may clown around or show off, but it’s only a cover up to hide the intrinsic nervousness and the fear of how others are going to see them. Some have previously said that the thought of getting their picture taken was worse than going to a dentist! Isn’t THIS what is most important in photographic portraiture, capturing the subject at their very best? Rarely does it ‘just happen’. It must be cultivated and brought out of each subject then skillfully captured. It is certainly a huge challenge that comes with a big potential for failure. But it is a challenge we look forward to and welcome with every client. Check out some of our reviews, and our senior portrait gallery, and then call us to talk about your senior session at (309) 827-4606. When it comes to children, whether you are planning on newborn photography, baby photos, or special children’s portraits that capture your child before he or she grows up, there is no place more convenient than bringing them into our studio. The studio is warm in the winter, cool in the summer, and much safer for the little ones. We have photographed many children in our studio over the years. We love the challenge of capturing the little ones so much, that we will soon be offering children’s specials. In addition to our work, you are going to like the special prices, so check our website often for the announcements. Since the good old film days, Denis has been photographing weddings, starting at a very young age. By the time he was old enough to drive, he had already photographed twenty-six weddings! After graduating and going full time he added a hand picked staff to handle the many bookings. Together, his team has earned an envious reputation and hard to beat track record in experience, taking millions of photographs, while photographing approximately 3,000 weddings. Today we are still going strong, and ready to serve you. We would like to create fantastic photos for you, too. Never fear, we will not photograph your wedding the same way that we did for your parent’s wedding! Our contemporary images on this website let you see for yourself. Brides have said they never expected to be able to have pictures like ours in a small town like Bloomington. Bridesmaids have said they liked how ‘organic’ our style was in which we were arranging everyone. Parents, who of course have experienced weddings before, have said that they have never seen wedding pictures like ours. Plus many have told us that ours are the best pictures that they have ever seen. Check out some of the testimonials on our review page and see their own words. Call us before your date is booked, at (309) 827-4606.
Business Portraits and headshots are another one of our specialties. Whether you need an Executive Portrait to display in your company headquarters or a head and shoulders close-up for the website, newsletter and business cards, our images will make you look most professional. Plus, our studio is very convenient to use. My career began as a photographer while I was a student in Normal. I moved to Bloomington into a commercially zoned building, then I made the jump to go full time. Two years later, I opened a studio on the third floor of a downtown Bloomington office building, the Eddy Building at 427 North Main Street, in the business district. Two years later, I moved into another unit on the second floor of the Eddy Building, which quadrupled my studio space. There I was able to build a large camera room with a ten-foot high ceiling, a white coved wall and floor and motorized backdrops. Business grew tremendously and we were soon out of room again. In three years, we purchased the studio building on Bloomington’s South Main Street that formerly housed Nitzel Studio for many years, and later, Bloomington Camera Craft. Originally built about 1927, this well-known studio more than quadrupled our studio space again. Now we are on the first floor, with the front door right on South Main Street for easy access and convenient, free parking. This is a distinguished portrait studio with a lot of history. The lower level came with one of the biggest darkrooms that I have ever seen. This is where Dale Nitzel first began Dale Color Lab, which grew into one of the largest color labs in America. With our background in the McLean County area, if you are looking for a portrait or wedding photographer near Bloomington, look no further. You will not find a more qualified professional with more experience and creativity than we have working in this area of Central Illinois, or one more familiar with the area. Although our studio is located in Bloomington, we travel to Chicago, Rockford, Naperville, Aurora, Bolingbrook, Downers Grove, Lisle, Elmhurst, Glenview, Morton Grove, Mount Prospect, Niles, Northbrook, Lincolnwood, Lombard, Oak Brook, Oak Park, Rosemont, Bartlett, Hoffman Estates, Palatine, Arlington Heights, Buffalo Grove, Rolling Meadows, Wheeling, Plainfield, St. Charles, Joliet, Wheaton, Willowbrook, Woodridge, Belleville, Collinsville, Edwardsville, Litchfield, St Louis, St Charles MO, O’Fallon MO, and parts of Indiana, Iowa and Wisconsin. Stop in to visit us and check us out. Let us create the best photographs that you have ever had taken. You can call us at (309) 827-4606. We look forward to the opportunity make you look stunning.